Go fishing, find treasure of the Gods and be rewarded! An update came today! Let's check out what's new. 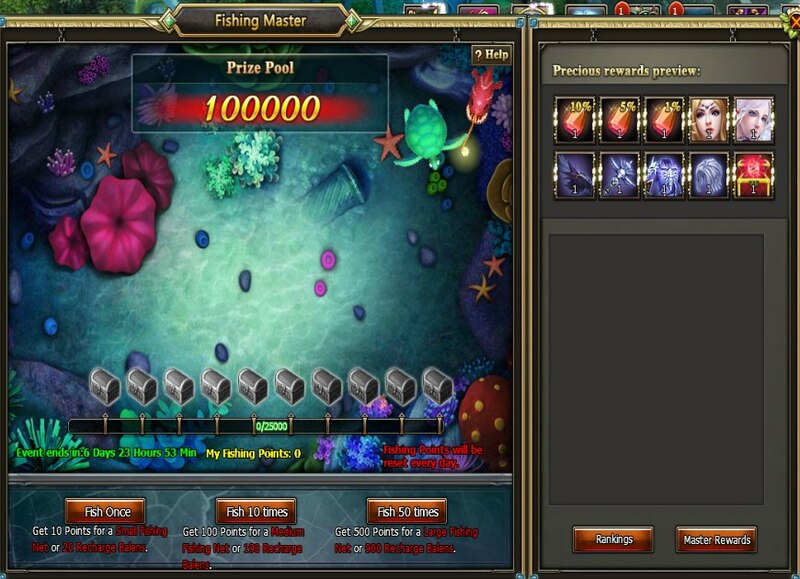 Fishing Master will be available from December 6 to 12. Take part in the event and show everybody that you are a natural-born angler! Fish once, 10 or 50 times and catch awesome rewards including talent cards, fashion sets and red astrals! From December 6 to 9 take your chance to grab treasure chests in this cool event! 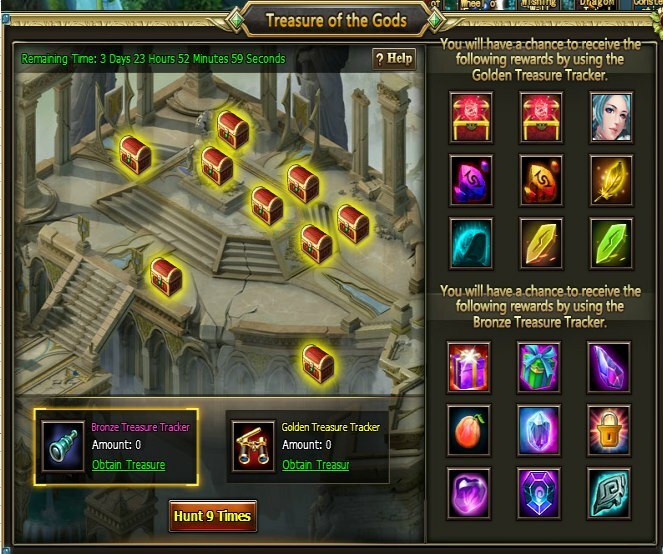 Use Treasure Trackers and receive rewards according to your Tracker value. 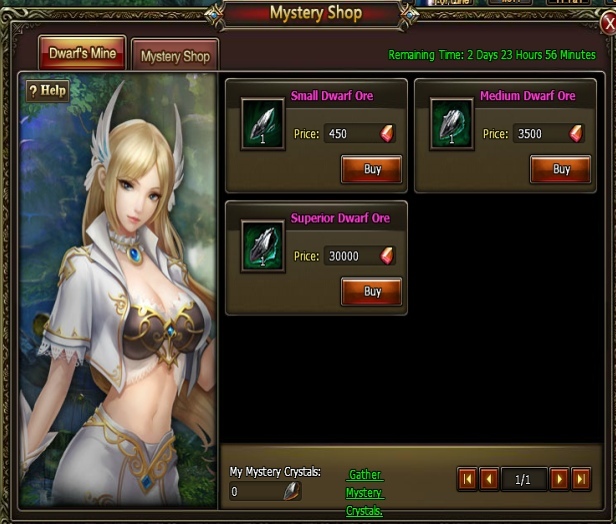 From December 6 to 8 all lvl 50+ players will be able to enter the Mystery Shop and purchase Mystery Crystals to exchange them for precious items such as talent cards, fashion, dragon parts and other prizes! 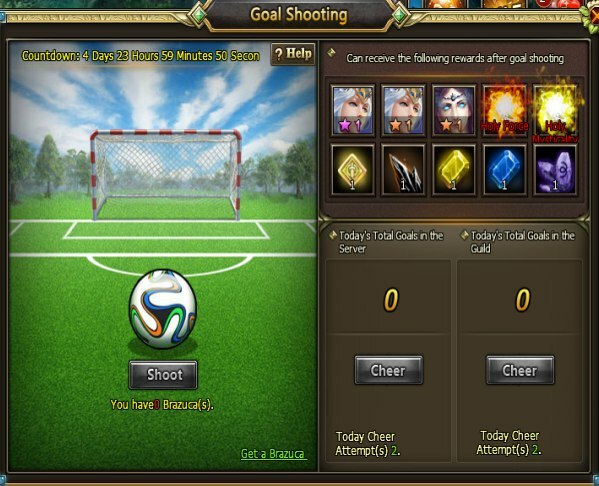 From December 6 to 10 shoot balls and get rewards! 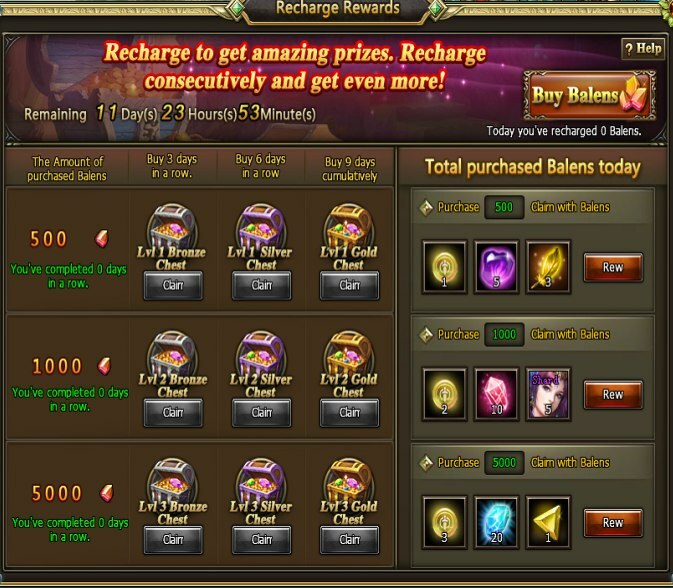 From December 7 to 9 recharge to get amazing prizes!